Windows and doors are a very important feature of any property, adding style, energy efficiency and security to your home. 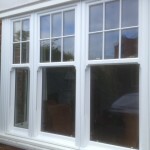 Merton Windows and Doors specialise in all aspects of double glazing in New Malden and Coombe Hill, including the supply and fit of high quality sash windows from leading UK manufacturers. Whatever the shape and size of your windows, your budget and your needs, we can provide high quality and energy efficient aluminium, timber or uPVC sash windows at competitive prices. We are a FENSA-registered company with a wealth of experience and pride ourselves on our professional and personal manner. We have our own teams of expert installers who ensure that our products are fitted with the same care and attention to detail you’ll receive from the moment you first contact us. Whether you want to introduce a period feel to a contemporary property or are looking for an authentic replacement, our stunning vertical sliders give you a classic design that boasts all the benefits of modern materials. 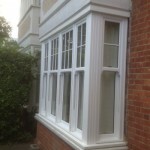 If you are considering box sash windows or casement windows for your New Malden property, why not give us a call? We can be reached on 0208 542 2233. 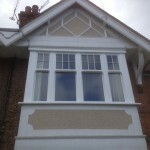 As well as sash windows, we can help with UPVC windows in New Malden. Casement windows are one of the most popular design styles found in the UK. 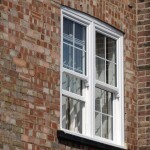 Our casement windows are manufactured to your individual specifications. With a vast array of choices, colour options and opening features to choose from, you are guaranteed to find a great match for your domestic of commercial property. Increased ventilation: Casement windows open all the way, therefore allowing for more ventilation. Variety of features: Our casement windows can be manufactured in timber, uPVC and aluminium and can include a number of high-spec design features. Highly energy efficient: All our casement windows are rated A+ for energy efficiency. Read our blog about how window energy ratings work. Practical to use: Casement windows are very easy to operate and open and close. Enhanced security: All our products come with precision-engineered security features to keep you and your family safe. 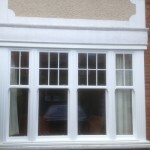 Low maintenance: uPVC or aluminium casement windows are low maintenance and ill never require re-painting or varnishing. 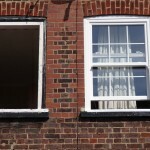 Looking for sash windows, casement windows or vertical sliders in new Malden? Make Merton Windows and Doors your first port of call! For more details or to request a free quote, please call us today on 0208 542 2233. Alternatively, you can email us on [email protected] or fill in an online enquiry form.